Debt collection has quite become the need of the time in UAE. Debt collection has helped a lot of businesses in sustaining and getting their posture again. Debt collection is basically the process of collecting the unpaid debt from the debtors. 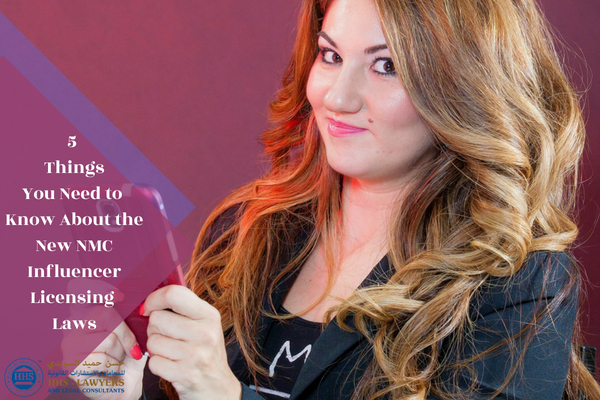 The debt collectors take a lot of risks during the whole process. Creditors prefer taking the help of debt collection agencies because they are aware of all the laws in the UAE. This benefits the people in carrying out the legal processes against the bad debtors. A debt collection agency knows how to complete this lengthy process in an easy manner. Debt collection, by all means, is a stressful process because reaching and catching the debtors is never easy. They do every possible thing in order to escape paying back the debt which makes the process very complicated. Debt recovery agency has taken this huge burden from the creditors in order to let them carry out their core businesses stress freely. There are different debt recovery agencies in UAE who work day and night to provide the most responsive debt recovery services to their clients. HHS lawyers in Dubai are one of them. The debt collectors working for debt collection agent know the steps that are to be followed while collecting the debt. They make sure that nothing out of the legalities happen. This is why they keep a very sophisticated attitude with the debtors. Also read: What is the legal action against Cheque bounce? What should you expect from a debt collection agency? You must first of all look into the strategies followed by the debt collectors. This will speak a lot about the company and its working. The methods taken by the companies in receiving the debt for unpaid invoices should be as per the laws and no less than that. The inadequate ways taken up by the debt collection agencies can spoil the reputation of the whole company. This ought to be avoided. If you see a company involved in such activities, you must not hire it for the debt collection process. 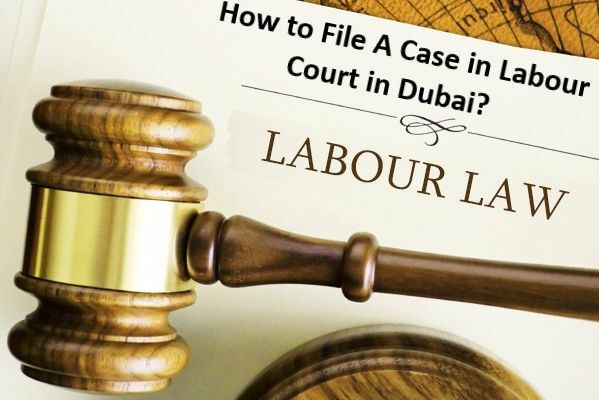 Companies working as per UAE labour laws would never opt for a defective way of collecting the debt. Find one stop solution for collecting the unpaid invoices and managing your cash flow. This will save your time and money both. Why is debt collection service the only effective way for unpaid invoices? It is not at all easy to deal with the debtors as they will try all possible means to escape from their liabilities towards the lenders. That is why the companies consider the debt collection services in UAE the only effective way to get their money back. The services offered by the debt collectors make the cash flow of the companies smooth. Also, the debt collectors hired by the companies are quite expert in their field. They know how to handle the stubborn debtors and retrieve money from them in a professional way. They find the bad debtors, talk to them, negotiate with them and retrieve debt from them. All of these steps might appear easier to you but they actually are not. It requires hard work to collect the debt after a huge struggle. For delinquent issues where the amicable settlement is not possible, we can proceed with further criminal and civil actions in the legal way to get the most effective result. How Debt Collectors help you with your unpaid invoices? The debt collection agency you hire to collect your debts needs to be professionals and know how to do bad debt recovery remaining in under the law. In the UAE, there are certain laws that protect both the rights of the business and the client and thus, that of a lender and a debtor. As said earlier that a nonprofessional act of your debt collection service can also harm the repute of your business. So before assigning your debt collection to a service, make sure they are reliable and professionals to represent you and collect your debts too. Timely reminders are given to the debtors about their outstanding debts and dates. If the arty doesn’t meet the obligations, hard collection services are pursued with. For the retrieval of the outstanding payments after their due date has been passed. Initially, negotiations are carried out to settle the matter but if that doesn’t work out, further implications are taken into consideration. For absconded defaulters, skip tracing is carried out to trace them. If the debtors do not reach results with the debt collectors, the legal action is taken for recovering the outstanding dues of the creditor. These services also define a stepwise approach for a professional debt collection lawyer or agency to retrieve payments for your unpaid invoices from the defaulters. A good debt collection firm must comply with all the needs for these procedures. 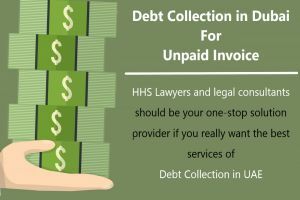 HHS Lawyers and legal consultants should be your one-stop solution provider if you really want the best services of debt collection in UAE. Dubai lawyers will never disappoint you in any way. contact us for more information. We would be glad to help.